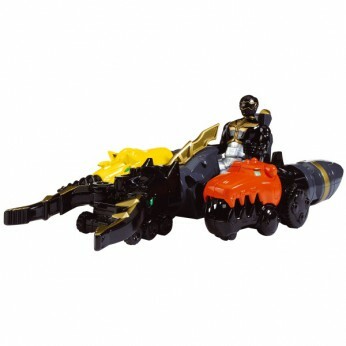 The Zord Vehicle comes with Power Ranger action figure and can be combined with the other vehicles and the Megazord in the Megaforce toy range (sold separately). Includes 3 detachable zord heads and 2 Power Ranger cards. Styles may vary. Please search code 129474 to check stock availability in our stores. This toy costs approximately £15.99 (for the latest and best prices make sure you check our retailer list for the Power Rangers Megaforce Black Vehicle above). In our review of Power Rangers Megaforce Black Vehicle we classed it as being suitable for ages 6 years, 7 years, 8 years but recommend you check the manufacturer specific advice before purchasing.